Growing up I was never much of a girly girl, preferring jeans and a t-shirt to anything with ruffles or flowers most of the way through high school. I never wore makeup and mostly put my hair in a pony tail. Then I went to collage. I don’t know why but I actually started wearing more feminine clothing and even occasionally wore makeup. I cut my hair short and cute too. Fast forward to now and I still wouldn’t call myself a ‘girly girl’ but I really do like to get dressed up in something cute and LOVE ruffles and flowers. Cut the scraps into .5″ strips. 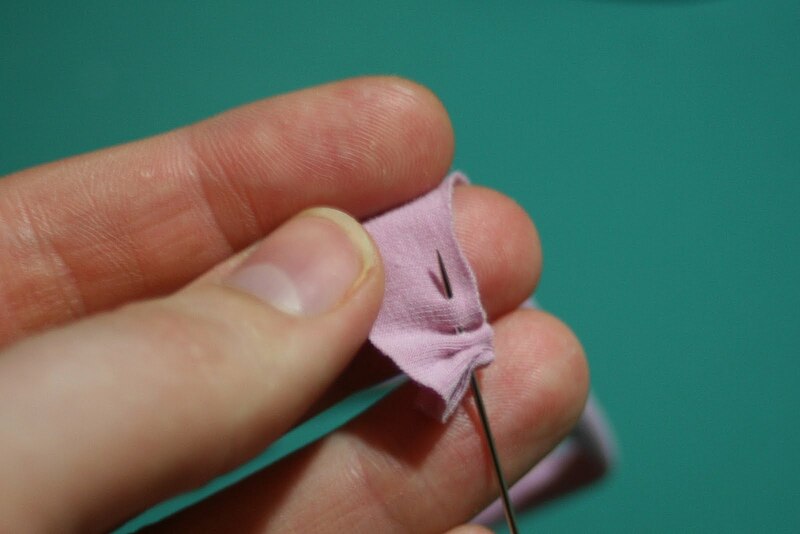 Put a bit of glue at the end and then every inch or so, so the fabric will stay secure, and begin to wrap. Finished wrapping at the end. To do the flower (forgive the change of fabric, my camera was acting up). Take a .5″ x 8″ strip and sew loose seam on the bottom edge. 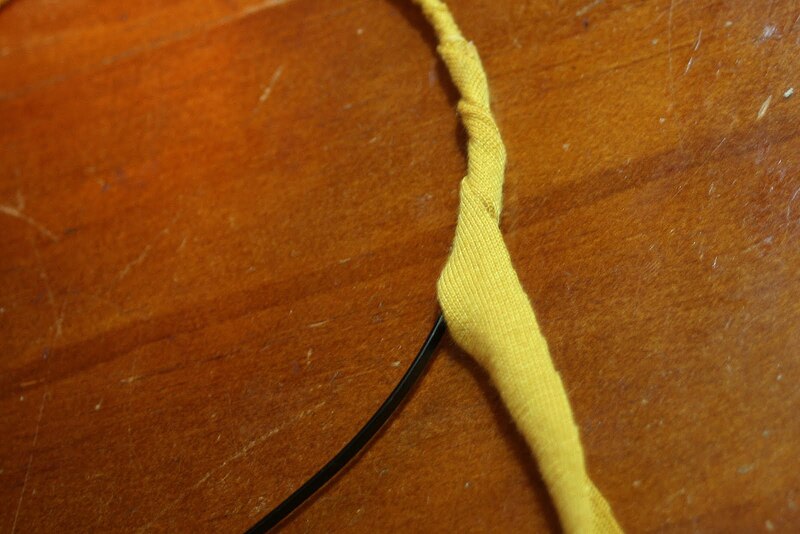 When the seam is done gather it, making it about half the length you started with. 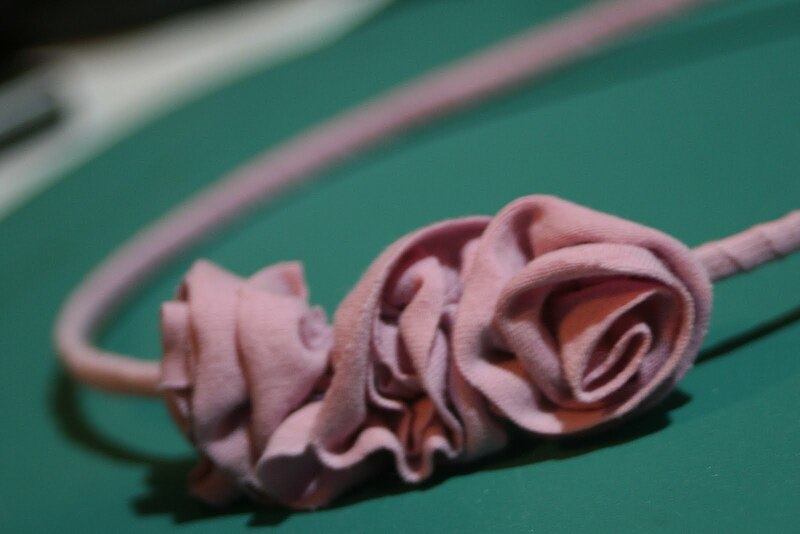 Take the ruffle and roll it with the seam side making the base of the flower. 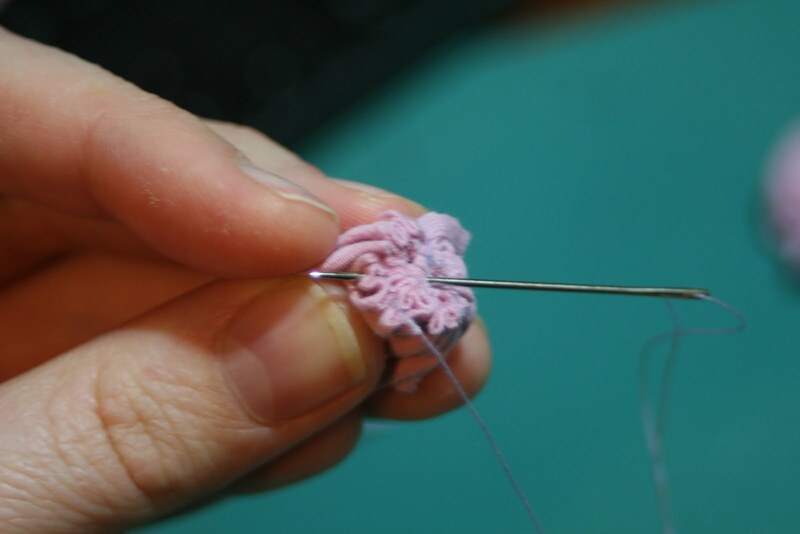 Sew the bottom so the flower doesn’t come undone. Don’t worry, doesn’t need to be pretty, just secure. 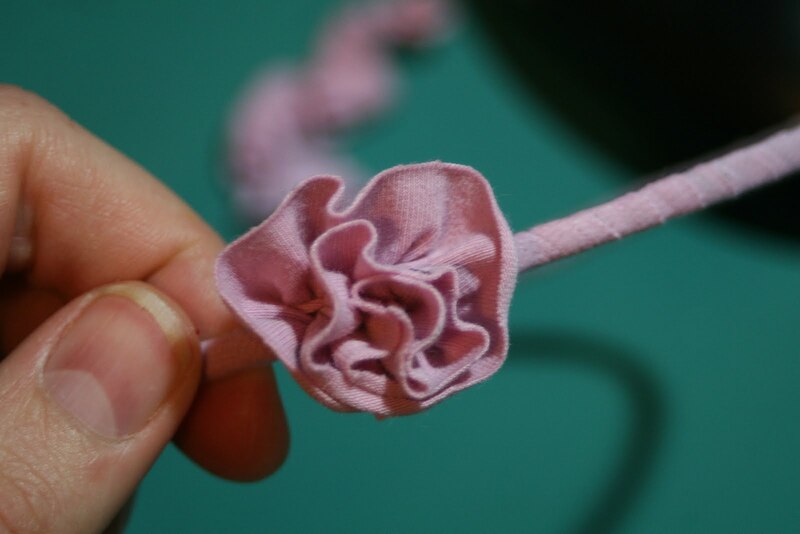 To attach to the headband use a drop of E6000 to attach the flower. To make it even more secure (because I was planning on wearing these a LOT!) 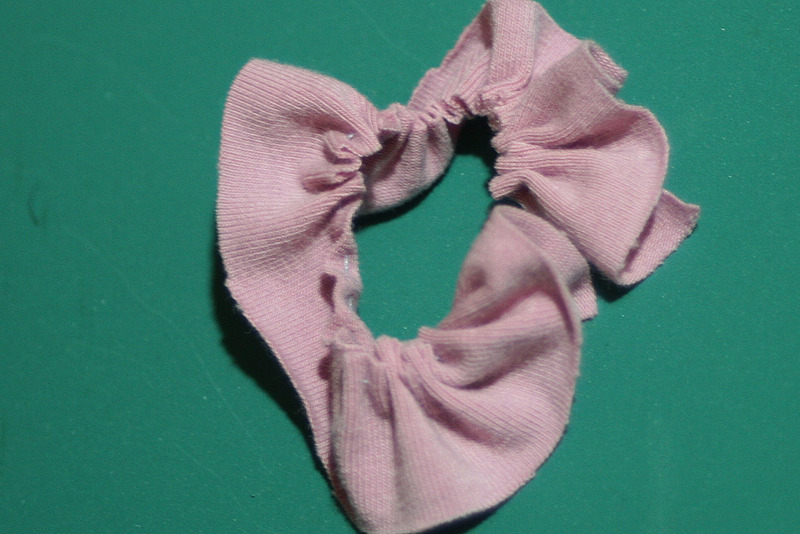 sew it to the headband. Attach two more flowers and Voila! Here it is in the yellow. This is now one of my favorite accessories and I can’t help but smile when I wear it. Good luck with yours! Gorgeous headband, you make it look so easy! I've been working on some flowers and trying different kinds, it's fun but some fabrics are tricky to work with! Great job!! I love it!! I'm gonna make one…just as soon as I'm done planning crafts for girls camp. And next year, if I'm still in charge of girls camp crafts, I'm calling you!! Cute! thanks for the tutorial. Gonna go make me one now! This is too cute! I've been searching for a headband tutorial. Very very cute. I love that it uses scrap jersey. Adorable!! Thanks so much for the cute tutorial! And thanks for stopping by my blog and giving your input!! Have a great day! Darling! I love how you covered the headband with fabric too. Great tutorial and a very girlie accessory! So cute! And you made it look easy enough! So pretty! 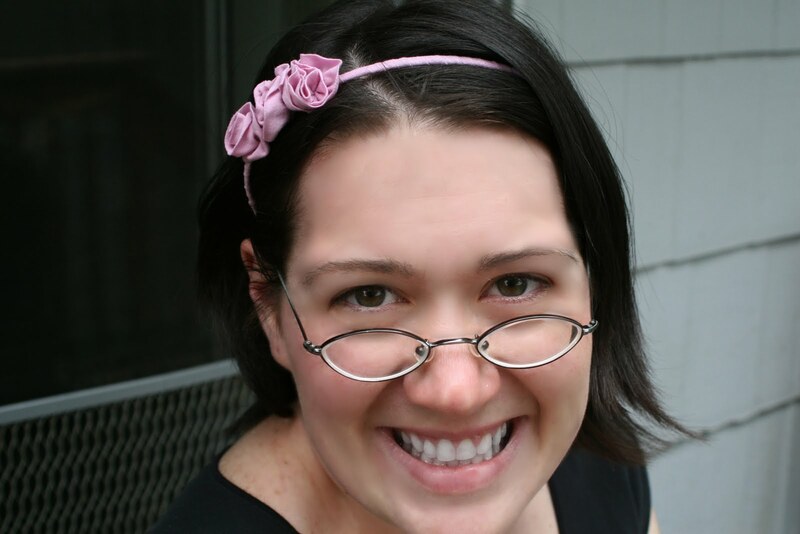 I would love to make one of these for my sister…she loves all these flowery headbands. Very cute! super cute! can't wait to try this! I absolutely love this! Love. It. Period. For reals. SEW pretty! Thanks for linking up to Thrifty Thursday! Cute headbands! Found you from Fireflies and Jellybeans! 🙂 Have a great day! So cute! I love it! I am hosting Flower Week at my blog. I hope you'll stop by! So cute!! Found you on somewhat simple and love your blog! Thanks for sharing! these are sooooo cute! i cant wait to try! where do you find that glue? thanks for posting!!! These are great!! I will definitely be making them with my girls as a summer craft! I finally sat down to make some of these with my girls. I posted about ours here! I LOVE floral headbands! I may be able to make this….especially if my dollar store sells 6 for $1. This is so so cute. I love the wrap around and t shirt flowers always turn out good. Oooo la la. Tres chic! I love it! Thanks for sharing. I'm with you. Total tomboy until college. And even more girly in my 30's now ;-).